Our extensive library of expert value guides provides a clear understanding of your items’ value. Chris Nerat, a Wisconsin native and one of the hobby's best known vintage Packers memorabilia experts, received his Bachelor's degree in Communications, with an emphasis in Journalism, from the University of Wisconsin-Green Bay in 2001. Starting in the sixth grade Chris has worked in almost every aspect of the hobby: dealer, card show promoter, lead card grader and first hire for SCD Authentic, Cataloger/Consignment Director for American Memorabilia, at Upper Deck Card Company in its auction division and helped start up MEARS Online Auctions. Most recently Chris was an editor/writer at Sports Collectors Digest where garnered national attention when he conducted a two-month investigation regarding fraudulent game-worn Brett Favre jerseys. His greatest personal accolade came in 2017, when he was elected to the Board of Directors of the Green Bay Packers Hall of Fame, at historic Lambeau Field. We are always accepting consignments for future auctions. We pay cash for huge volumes of material every month. Use your rare coins and currency as collateral on a loan. Our team of top experts makes us a trusted partner. For more than three decades, Heritage Auctions has specialized in bringing the world’s most prized objects of value to the world’s most passionate collectors. 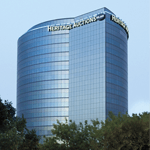 As the world's largest collectibles auctioneer, we bring our huge client base, technical savvy and marketing prowess to the table to make sure you get the most for your treasures. We believe we are by far the safest choice when valuable estate property needs to be sold. We offer guidance on the most secure methods of shipping your valuables. Our award winning videos explain the consignment process. A serious collector since the age of 9, Derek turned his passion for sports collectibles into a prominent career. Derek started his trading card profession as an eighteen-year old college freshman with the opening of his first sports card shop in his hometown of Johnstown, PA. In 1998, he joined Sportscard Guaranty (SGC) as a professional grader, soon becoming their Director of Grading. For over two decades, Derek has been the #1 choice for most of our hobby’s foremost trading card connoisseurs and he continues to advise the nation’s leading buyers. As Heritage Sport’s Vice-President and our Director of Grading, Derek has been instrumental in bringing numerous important collections to auction - including the Walter Johnson Collection, the Brooks Robinson Collection, the Gary Carter Collection, the Mike Eruzione Collection, the Dave and William Christian Collection, the Herb Brooks Collection and the Sam Snead Collection. Mark has been involved in the sports collectors industry since 1967 when he was a major league bat boy. He was the promoter for the first National Sports Collectors Convention in 1972 and is a nationally known expert in autograph authentication, appearing on NBC nightly news, The Today show, ESPN, USA Today, The New York Times, Sports Illustrated and other media outlets regarding collectibles. He has been named as one of the 10 most influential persons in the sports autograph industry by Trading Cards Magazine and his showroom was located in the Texas Rangers Ballpark in Arlington for seven years. He graduated from David Lipscomb University in 1976, where he also served as Sports Information Director. Peter Calderon grew up on the north side of Chicago, and, after earning his BA degree in Art from Columbia College of Chicago, he worked in advertising and marketing. He moved to Dallas in 2008 to join Heritage Sports as Consignment Director and Vintage Card Specialist. He has authored both feature articles and a regular column for Beckett Publications. Lee is a twenty year veteran of the sports card and memorabilia industry. Lee’s trading card expertise was cultivated through a four year tour as an expert for the Sportscard Guaranty Corporation (SGC), where he served as Senior Grader. Lee joined the Heritage team in June 2007 and now uses his specialized knowledge to maximize financial return for consignors of trading cards to Heritage Auctions. Jonathan is a fourth-generation New York Yankees fan who, for the better part of the past decade, has made use of a Creative Writing major as lead catalog writer for several of the top sports memorabilia auction houses in the industry, where he has personally researched and written the catalog copy for tens of millions of dollars of vintage sports memorabilia. He has served as a consignment director and as lead cataloger for Heritage Sports Collectibles since the summer of 2004. A lifelong collector, Nick grew up in Miami, FL and graduated from Emory University in Atlanta,GA where he double majored in History and Political Science. Fresh upon graduation in May of 2015, Nick joined the Heritage team to fulfill his passion of working in the sports collectibles industry. A vintage card collector by trade, Nick has been heavily involved in both sides of the hobby whether it be memorabilia or cards. A lifelong collector, Tony grew up in Wisconsin and graduated from the University of Wisconsin-Green Bay in 2000 and worked at a number of newspapers before following his passion. Giese began his career in the sports memorabilia industry in 2005 at a prominent auction house. After six years, he moved back to Wisconsin and worked as a consignment director/cataloger at MEARS On-Line Auctions. His experience in the game-used industry made him an ideal fit for Heritage Auctions, where he has been since September of 2012. When not traveling to shows and visiting consignors, Giese is an avid fan of Wisconsin sports. Rob earned a law degree from Brooklyn Law School before he began his professional career as the Regional Director of Promotion and Marketing for Atlantic Records, working with artists like Hootie and the Blowfish, Matchbox Twenty, Phil Collins and Jewel. He quickly realized, that he enjoyed his hobby in sports collectibles far more than his vocation and retired from the music business to dedicate himself full time to the hobby. Since making this switch, Rob has been involved in some of the most significant transactions in sports collectibles history, buying and selling millions of dollars in value of the hobby’s greatest treasures. He uses his vast hobby knowledge and clientele to further enhance Heritage Sports’ standing as the industry leader.